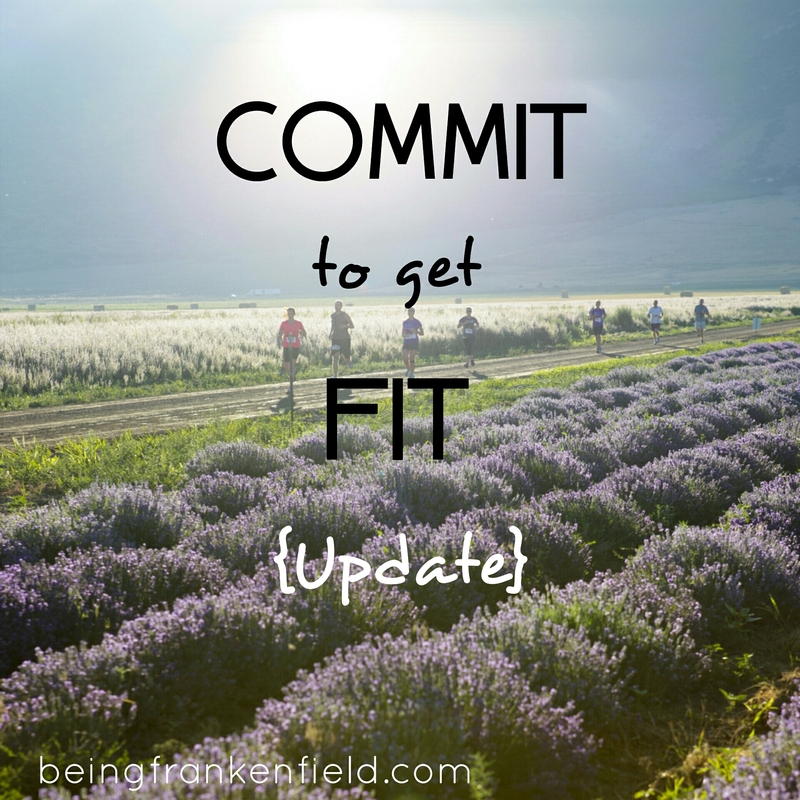 One more week is over, so it’s time for another Commit to Get Fit update. How have I done?? Let’s see! Actual: I did terrible this week. I only averaged about 22oz daily. My highest single day consumption was just 40oz. Definitely need to improve here. Goal: Participate in AND complete the new Bikini Body Mommy 6 week challenge. Actual: SUCCESS! I did all 6 exercises this week! Goal: At least 5 servings of fruit and vegetables each day and limit my snacks and unhealthy foods. Actual: Better, but not enough. Still didn’t get my 5 servings of fruit and veggies each day. Goal: Schedule and prioritize my time better. Actual: I think I did fairly well with this. Of course, I can always improve, but I felt like I had plenty of time for family, exercise, and hobbies this week. Actual: Fail…again. Going to do my best to make this happen this week. I have lost 0 pounds this week. 25lbs to go until I hit my goal weight. Are you doing anything to improve your fitness? Physical, mental, emotional, spiritual- they all count! Let me know how you’re doing on your journey so we can root for each other! Have you been on my Barefoot Books Facebook page lately? Did you see I’m doing ANOTHER book giveaway? This time, you have the chance to win “African Animals ABC.” I love the pictures in this book- they are so beautiful and interesting! I also love the unique animals my kids get to see while flipping through the pages. What are you waiting for? Head over to Facebook to snag an entry!! Last week, I told you guys I was really going to buckle down and get serious about getting fit! So, how have I done?? Let’s see! Actual: I averaged about 30oz daily. Not great. My best days were Thursday and Sunday, when I drank 48oz. Definitely need to improve here. Actual: I did all 6 exercises this week! WOO! Actual: I know I did not get 5 servings of fruit and veggies each day. BUT, I did drink my Ningxia Red almost every day (forgot it twice), so I got some fruit/veggies there plus the antioxidant and essential oil boost! Still, I know I need to do better in this department. I did pretty well with limiting my snacks and unhealthy food. Having water readily available definitely helps with this- especially when I flavor it with my grapefruit essential oil. Actual: Fail. I had it in my brain that we were going to make it to church yesterday, but I didn’t make it happen. No real excuse other than I didn’t prioritize it high enough. Hoping to do better next week! And of course, because I need to track progress towards a weight goal… I have lost 0 pounds this week. 25lbs to go until I hit my goal weight. Longer ago than I care to admit, I publicly declared that I was going to buckle down and get myself back in shape and get healthier. I have no good reason for this. Sure, I have a lot of excuses, but none that are really worth anything. That ends today! 1. WATER: I WILL drink at least 64oz of water daily, infused with Essential Oils to keep it interesting and my intake up. 2. EXERCISE: I WILL participate in AND complete the new Bikini Body Mommy 6 week challenge. 3. DIET: I WILL make sure to get at least 5 servings of fruit and vegetables each day. I WILL limit my snacks and unhealthy foods. 4. BALANCE: I WILL schedule and prioritize my time better so I have a balance between family, work, exercise, hobbies. Without balance, life can get overwhelming. 5. SPIRIT: I WILL make time to reconnect to church. I often let life get in the way and this area loses its priority status. That needs to stop- I feel more relaxed and together when I make time for my spiritual health. So there you have it- my goals. I’ll be posting an update each week for the next 6 weeks. By then, hopefully I’ll have developed some healthy habits and will have some progress to show, too!! Stay tuned and cheer me on! And I want to hear YOUR health goals so I can cheer you on, too! Join Me For an Essential Oils Instagram Hop! 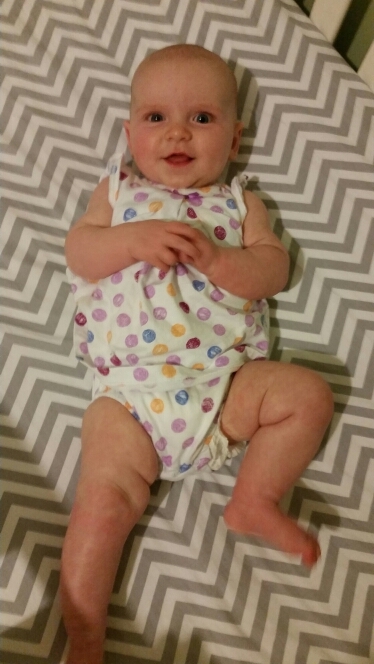 Back in May, just two short days before my amazing daughter was born, I announced that I was organizing an Essential Oils Instagram Hop. Well, life got busy (it does that with a new baby! ), Young Living released a NEW premium starter kit, and the hop took a back burner. I’m excited to announce that I’m getting this going again! I’m looking for ELEVEN instagrammers who are interested in trying one of the “everyday oils” from the new Premium Starter Kit. If you’re interested, please fill out this google form to claim your spot! Not sure which oil you’d like to try? Check out this google doc that gives a high level outline of each of the 11 oils. You can also email me (beingfrankenfield@gmail.com) or message me on instagram (@beingfrankenfield) if you’d like more information! Once I have all the participants, I’ll send out more specifics.